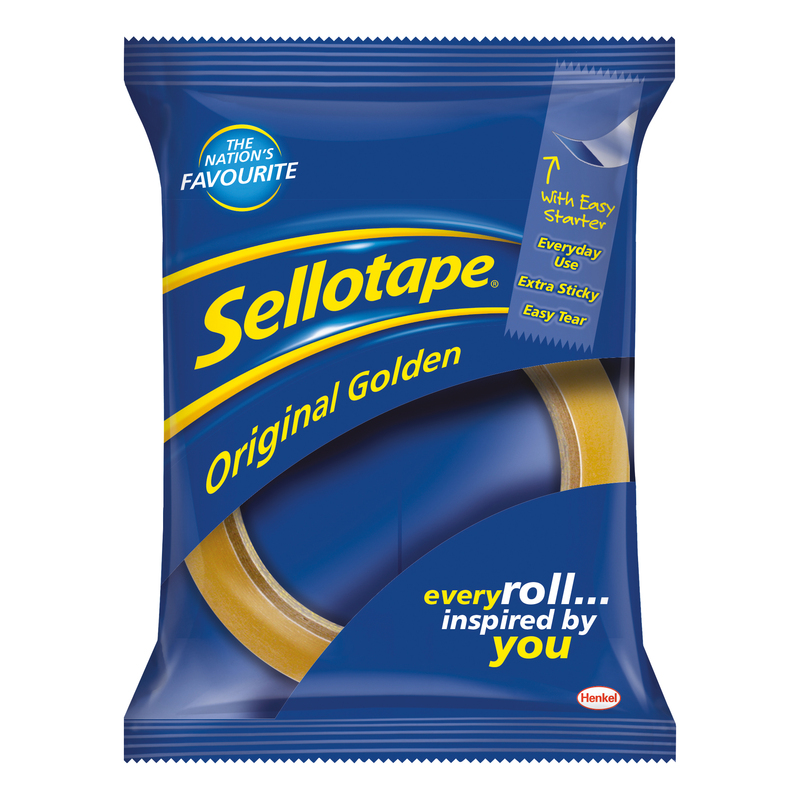 The Golden Original Roll of Sellotape, . Golden on the roll it becomes clear when applied. 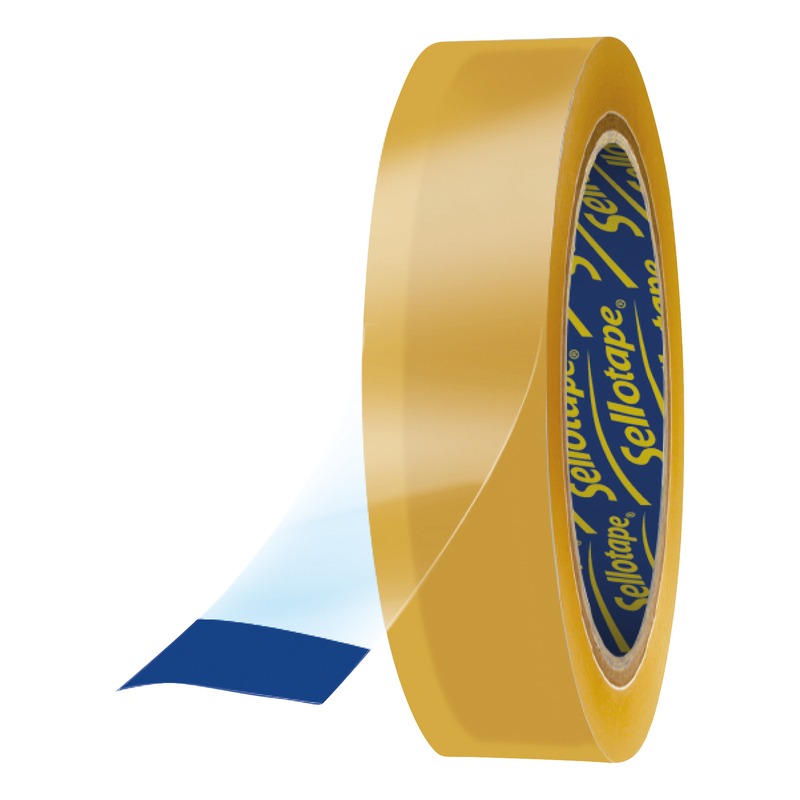 Up to 50% stickier, 20% stronger and 10% thicker! Sticks paper, envelopes, cards, and many other household items. 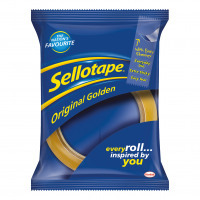 Easy to tear and designed to be extra sticky but cleverly made so it doesn’t tangle, twist or stick to itself.